You rely on your homeowners insurance to dig you out of financial holes after a major loss. Many perils are listed in your policy, one of which is probably water damage. Unfortunately, standard homeowners insurance only offers limited coverage for water-related losses, potentially leaving you on the hook for others. Do you know which types of water related losses are covered and which ones are not? Continue reading to learn more about what you need to know about flood and water damage insurance. A standard homeowners insurance policy may pay for the repair or replacement of damaged home structures and contents that are damaged by sudden water-related accidents. This includes damages caused by burst pipes, appliance failures, and damaged hose lines. On the other hand, some water damage claims may not be covered if they appear to be the result of poor maintenance or neglect. In other words, insurance might pay to replace damaged cabinetry after a pipe bursts inside of it, but it might deny payment for the same cabinet if it is damaged by a long, slow, and unresolved leak. Many insurance companies offer endorsements for damages caused by water backup, which are not generally covered under standard homeowners coverage. Water backup is one of the leading causes of residential water damage in the U.S. It occurs when sewage backs up into the home, usually due to a blockage or an overburdened drainage system. Though water backup is not generally covered under homeowners insurance, coverage can be added to a policy in the form of an endorsement. To avoid a water backup altogether, the Insurance Information Institute recommends proper disposal of paper goods and grease – not flushing them down the drain. You should also consider replacing old, deteriorated pipelines with new plastic lines that are less likely to collapse and are more resistant to invasive tree roots. If you do experience a sewer backup, be sure to arrange for immediate cleanup of your property. If you have a sewer backup endorsement, it should help cover the cost of cleanup and repairs. According to the NFIP, floods are the single most devastating natural disaster in the U.S. every year, costing an average of more than $46,000 per claim between 2011-2015. However, floods are not covered under standard homeowners insurance in the U.S. Instead; coverage is made available through the National Flood Insurance Program, or NFIP. If you live in a flood plain, your lender may require you to carry this type of coverage. Even if you do not live in a high-risk area, however, you could be at risk if you do not have flood protection. 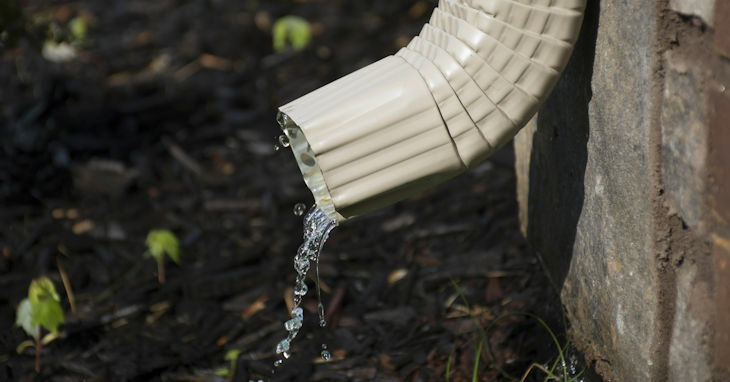 Changing weather patterns, changes in community drainage systems, and even environmental changes consistently impose new risks to homeowners who may have never experienced flooding before. Unfortunately, many people find out too late that they should have invested in flood protection. Whether a collapsed dam causes a river to overflow its banks and into your home or melting snow cannot be absorbed into the ground soil quickly enough, flood insurance can help you repair your home and replace your damaged belongings. You can purchase flood insurance from an independent agent here at Noah Insurance. Whether you live in Minnesota or Wisconsin, be aware that you may face a 30-day waiting period before your coverage becomes effective. The NFIP makes exceptions for homeowners who purchase coverage to satisfy the requirements of a new mortgage, as well as for those who have experienced recent changes in flood zoning. You can learn more about your flood risk by visiting the FEMA Flood Map Service Center. Has your home ever flooded or experienced a sewage backup? Will it?